Editor’s note: Johnnie Moore is the author of Dirty God (#DirtyGod). He is a professor of religion and vice president at Liberty University. Keep track of him @johnnieM . (CNN) - Jesus was a lot more like you than you think, and a lot less clean cut than this iconic image of him that floats around culture. But despite the Christian belief that Jesus was both fully God and fully man, Jesus was a rather dirty God. He was the “earthly” son of a carpenter, and life in the first-century was both more lurid and unfinished than our collective religious memory seems to recall. It seems like an obvious statement if you believe that Jesus was “fully God” and “fully man” (as most evangelicals believe and call the Incarnation), but to some of us it seems in the least, inappropriate, and at the most, sacrilege, to imagine Jesus in this way. We might believe that God was also man, but we picture him with an ever-present halo over his head. But, actually, the Jesus of the Bible was more human than most people are conditioned to think. I call this the dirty side of Jesus. He was grittier, and a lot more like us than maybe we believe, and that’s one of the reasons why so many thousands of people followed him so quickly. They could relate to him. He was the teacher from a small town who knew and understood the economic insecurity that was common in the first century. Times must have been rather tough for Jesus at points in his life, for he even spoke of being homeless, having to sleep on the ground with no roof over his head. He also knew what it was like to have his message rejected and how it felt to be misunderstood. Jesus was regarded with such little significance in his hometown that one of his critics once remarked sardonically, “Isn’t this the carpenter’s son?” Jesus eventually had to move to different city (Capernaum) because his teachings so infuriated the people living in his hometown that they drove him out of Nazareth and even tried to throw him off a cliff. 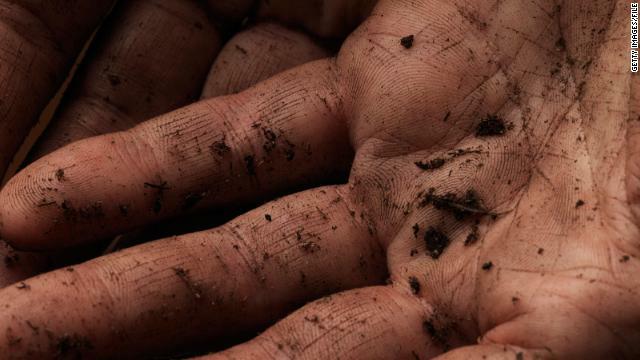 The real Jesus had dirt underneath his fingernails and calluses on his hands. He probably smelled badly from sweating profusely in the Judean sun on his long hikes to Jerusalem, and Jesus was, without a doubt, rumored to be a hypocrite or absolutely mad for all the time he spent with prostitutes and those afflicted with leprosy. Not exactly have a clean-cut image. He had a rather shady reputation. Some people thought he was a revolutionary. The religious leaders called him a heretic, and others even accused him of being a drunkard and a glutton - in no small part because of the vagabond group of disciples he had with him. No serious religious leader of his day would have ever recruited such people. For his core 12 disciples, Jesus included a tough-as-nails, bombastic fisherman (Peter), a chief tax collector named Matthew (the most hated popular figure of the time), an eventual traitor who was stealing money out of the offering bucket (Judas), a prolific doubter (Thomas), two jocks nicknamed the “Sons of Thunder” (James and John) and Simon the Zealot, a member of a radical political party which believed in using violence to kick out the Romans. That’s not exactly the behavior of a sweet, self-help teacher with a halo over his head. It’s the behavior of a frustrated man who might also be divine, but sure knows how it feels for annoying people to get under his skin. Christians believe that Jesus chose to be born fully human, too, but why? Lots of theologians have laid out opinions over the centuries, and in their opining they have tried once again to hijack Jesus’ humanity by defining it in philosophical terms. I believe it’s simpler than the philosophy and church councils and centuries of argument. The brilliance of Christianity is the image of a God, named Jesus, arrived with dirty hands. Jesus came in a time period when Greco-Roman gods were housed in gigantic temples and portrayed with superhuman powers and with superhuman physiques. Gods were believed to be far away from people on their mountains or hemmed up in their sanctuaries. Jesus arrived in defiance of this prevailing imagery. He let himself be killed, and then he busted open a tomb. In Jesus we meet a Savior who understood the desire to sleep just a few more hours, and who had to control his temper sometimes. In Jesus we find a God we can relate to because he chose to relate to us. He was the God who became dirty so that the world’s souls might be made clean. The opinions expressed in this commentary are solely those of Johnnie Moore. Yes, Jesus was very human. That's what makes Him very special, because Jesus is Lord. I, myself, am unfit to tie his sandals. Please stop spamming this site. Are you crazy? People are well aware that you are a troll posting under multiple handles trying to sell your lame site because it's total junk. Wow you are pathetic !! Wow you are pathetic !